This is another submission from Elizabeth Tessa Grace over at Bread, Brownies and Beyond. I'm really happy about this one because I myself have never watched much Voyager (I know, I know, it's a tragedy) and did not know this tasty little morsel existed. This cake appears in Voyager episodes "Twisted," "Riddles" and "Fury" which I plan to watch right now. In fact, I'll probably just marathon myself some Voyager all day. 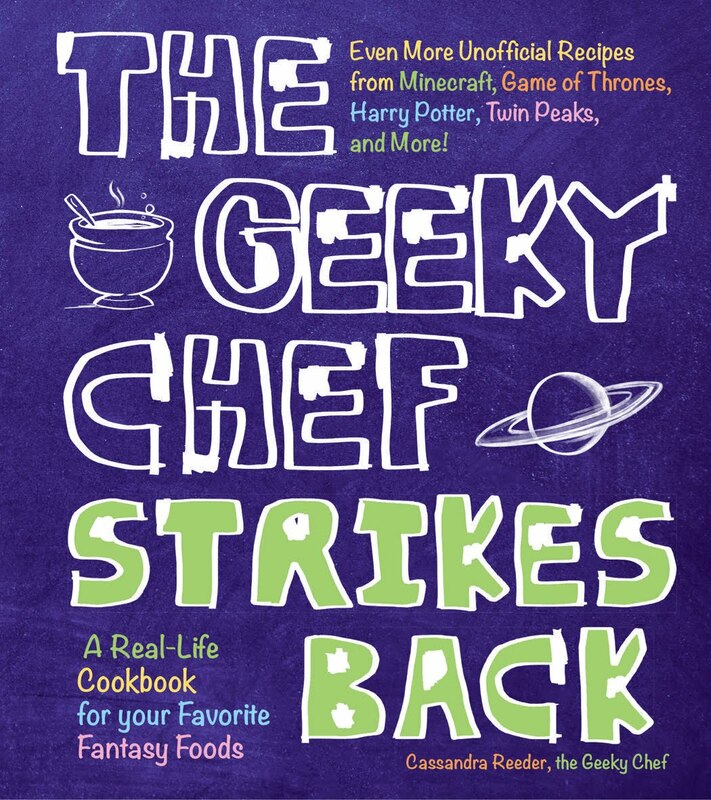 You might be thinking "Geeky Chef, shouldn't you be in the kitchen making food for the upcoming cookbook?" I WILL BE. I'll multi-task. This is totally legitimate and important research! 1) Grease two 9" cake pans and line them with parchment paper. Preheat oven to 350 degrees. 2) Combine sugar, cocoa, flour, baking soda, baking powder, and salt in a large mixing bowl. Add wet ingredients, and mix until thoroughly combined. Mixture will be very watery, but that is what makes the cake so moist. 3) Pour into cake pans, and bake for 30-35 minutes in preheated oven. Remove when center is set, a toothpick inserted comes out clean, and edges pull away from the sides of the pan. Allow to cool, and then frost with blue butter cream frosting. In a large mixing bowl, beat butter. Add powdered sugar 1/2 cup at a time. Beat in whipping cream and extract. Add food coloring little by little until desired color is reached. Frost cooled chocolate cakes. My trekkie heart is all a-flutter! Sounds delicious, thanks for sharing! Sending trekkie hearts fluttering is my favorite thing! 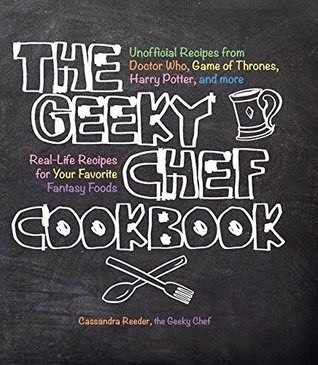 I'm grateful that Elizabeth chose to share her recipe with Geeky Chef readers. Nice! I've always wanted one of those.